The kangaroo is one of Australia’s most iconic animals, and most species are endemic to Australia. 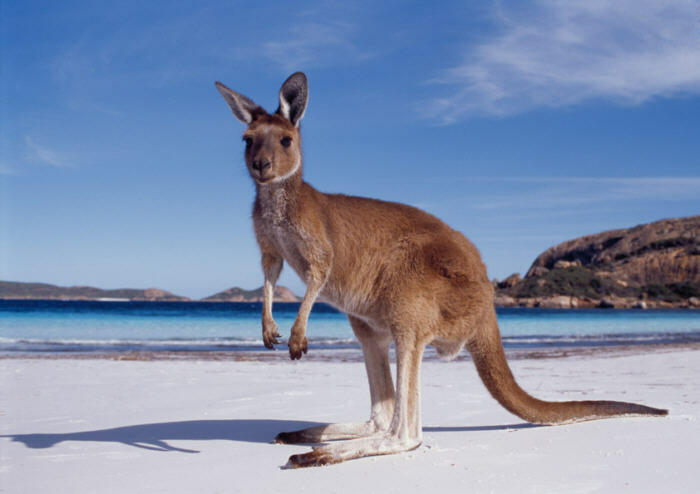 There are over 60 different species of kangaroo and their close relatives, with all kangaroos belonging to the super family Macropodoidea (or macropods, meaning ‘great-footed’). The super family is divided into the Macropodidae and the Potoroidae families. The Macropodidae (macropod) family includes kangaroos, wallabies, wallaroos, pademelons, tree-kangaroos and forest wallabies. Species in the macropod family vary greatly in size and weight, ranging from 0.5 kilograms to 90 kilograms. The Potoroinae (potoroid) family of kangaroos includes the potoroo, bettong and rat-kangaroo, which live only in Australia.